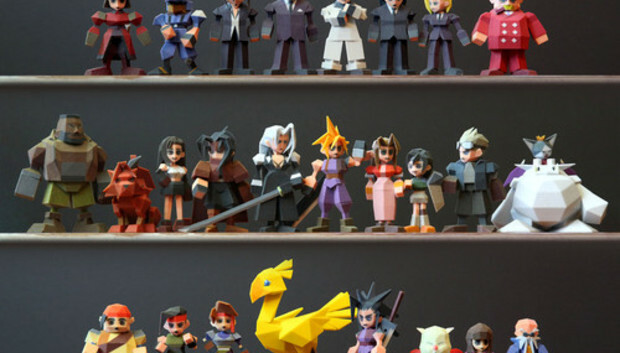 These are awesome: Joaquin Baldwin, a Walt Disney Animation Studios digital cinematographer, perfectly 3D-printed the entire cast of Final Fantasy VII into real life. It's a beautifully painted group of 26 low-polygon figurines, and it's really neat to see that the blocky 32-bit PlayStation graphics don't look dated in real life. If you want to check out more of Joaquin's 3D printed art you can buy yourself a couple of prints from his Shapeways store--including that delicious looking Möbius Bacon Strip.